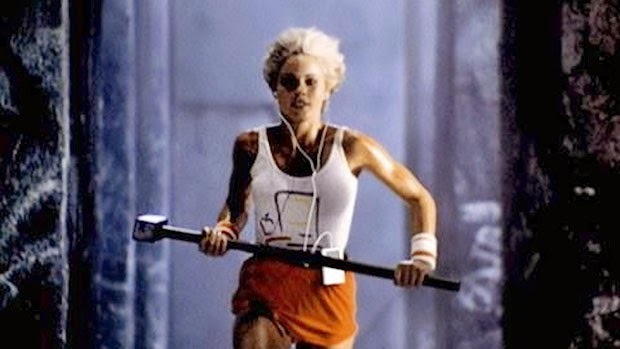 Like its iconic 1984 Super Bowl commercial, Apple has strived to own the maxim, “Think Different”. Today, this applies not so much to Apple’s products, as critics point out, but rather to its marketing and advertising efforts. In building an internal agency, Apple has moved away from the traditional route of hiring agencies. This “team” of internal creatives is said to eventually number 1000, and will attempt to bring on board some of the industry’s most well-known figures. And Apple isn't the only company moving in-house. According to Forbes, in-house advertising agencies have increased 42% to 58% from 2008 to 2013. Some of the touted benefits of having an in-house agency include gaining more control over the creative process, and having a team that understands the company’s culture, as well as obtaining cost savings. According to an ANA survey, among companies with an in-house agency, 40% reported that the work handled by the in-house agency centered on strategy. This certainly makes sense, as an in-house team member, with more exposure to the company, is in a position to be better aligned with the company’s marketing and overall business objectives. Furthermore, as marketers are able to directly reach out and connect with their audiences via Facebook or Google, external agencies are reevaluating their value and relevancy. No one wants to be perceived as a middleman. But before the partners and leads BBDO or Ogilvy start sulking like Pete Campbell on a lonely Friday night, remember that there are still significant benefits offered by an external shop. From a cost perspective, it’s not certain that working with an in-house team will help save money, as clients can negotiate pricing with agencies and not be concerned about incurring H.R. costs. Moreover, the knowledge stored at an agency is critical, whether it is familiarity with a niche market, being able to access proprietary analytic tools, or gaining exposure to a diverse set of client campaigns. In short, the days of the agency selection process and pitches are far from over. Not only because external agencies bring invaluable value to their clients, but also because companies like Apple are still hiring several agencies for their expertise despite the in-house move. Interestingly enough, Apple has not cut off its relations with its longtime creative partner, TBWA / Media Arts Lab (“TBWA/MAL”). It is rumored that Apple has TBWA/MAL compete against its in-house agency in pitches to obtain the best creative ideas. At the end of the day, organizations must assess their own resources and budgets to determine whether it makes sense to move in-house or out. After Apple’s lukewarm 2012 Olympic flub, perhaps a healthy dose of competition will re-energize its attempts to maintain its image as an innovator.